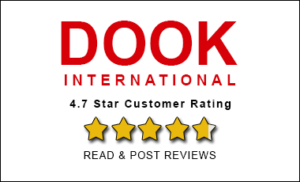 Among the Five Stans of Central Asia, Uzbekistan is least known for natural beauty. But that is not the truth. Uzbekistan has fair share of natural beauty. Only in the previous article we explored Charvak Reservoir in Tashkent region in Uzbekistan. 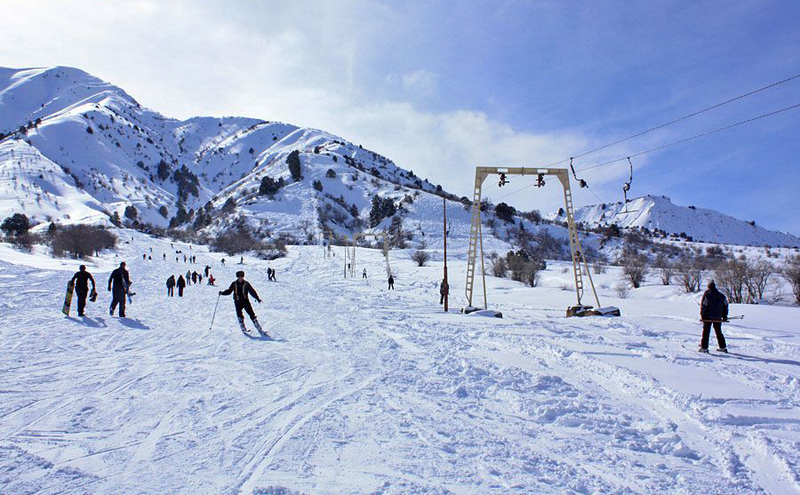 In the Tashkent region there is Chimgan Mountain Ski Resort, a wonderful place to head to specially during summers when it is hot in Tashkent. This naturally beautiful place is one which you probably look for when you are on an Uzbekistan tour or a Tashkent tour. 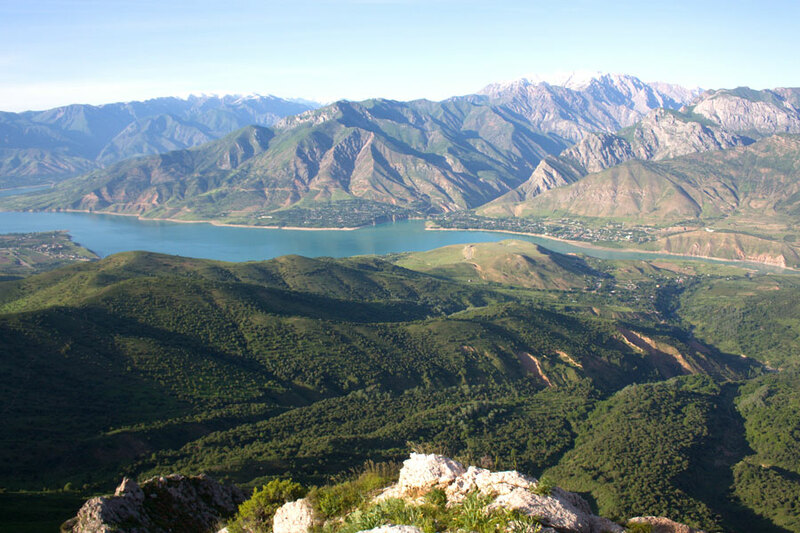 2 hours ride from Tashkent and you reach Chimgan Mountain Resort. This is best place to be during winters. What are more good things about Chimgan? Let us explore Chimgan in a length. 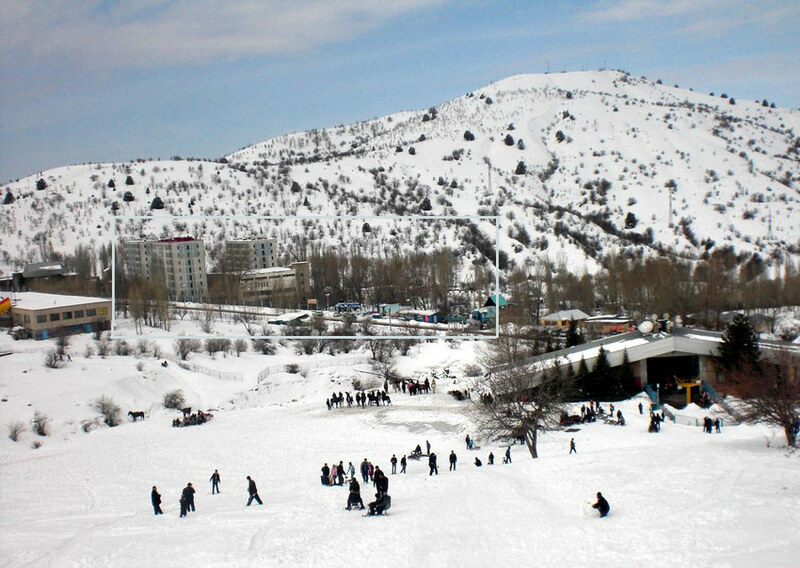 Chimgan is most popular ski resort in Uzbekistan. 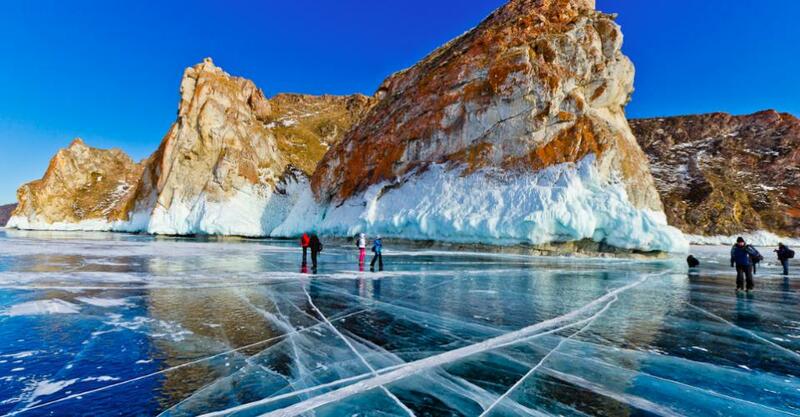 Chimgan is located 80 KM or nearly 2 hours away from Tashkent. 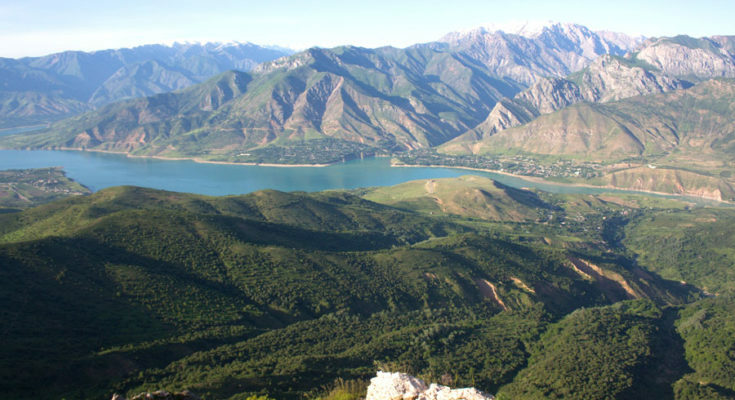 It is at the height of 1600 meters in the western Tien Shan Mountain surrounding Tashkent from the east. Greater Chimgan is the main peak of the valley and stands out above the entire valley. 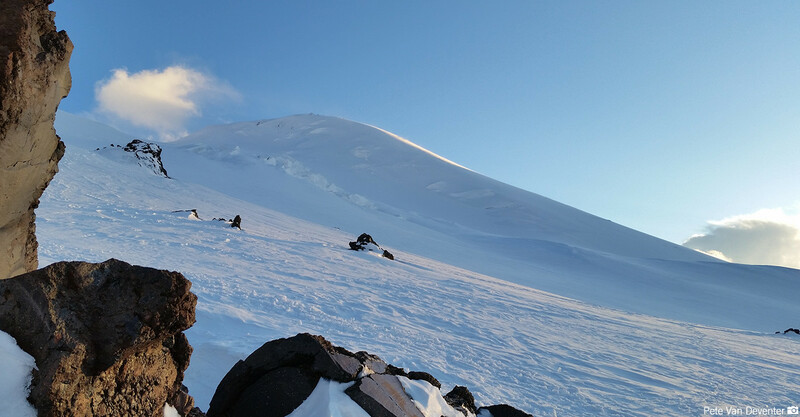 At the height of 3300 meter Greater Chimgan looks like a peak of giant star from which the rays of slopes, adorned by cliff peaks disperse in all directions. Tien Shan Mountain at the top of it is a blanket of snow and snow slips down to the downside of mountain in winters. Chimgan is popularly known as ‘Uzbek Switzerland’ for simply its beauty. You can see the slopes here covered with relict-fir tree woods, Mountain River sailing around mountain and hills. You can experience fresh pure air filled with the fragrance of beautiful several flowers and herbals. Chimgan has been created as recreational zone and tourist place. Today Chiman has high rise buildings, hotels, cottages, cable rail roads, shops, bars, restaurants and cafes. There are recreation zones, Sana tourism and summer camps also. Winter and spring is the best time for tourists to come to Chimgan. 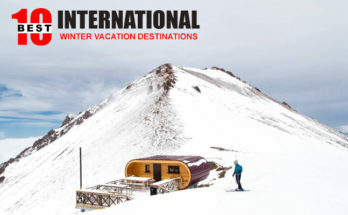 Winter sports are quite popular here and offer lot of adventure. Downhill Skiing, Toboggan, Snowboarding, Free Rides are some popular sports here for recreation during winters. From the month of December to March one can enjoy skiing here as this period is best skiing season in the region of Chimgan. Spring is another season for recreation. Rock climbers and Sky surfers come here in spring season. Now if you thought that only winter and spring are the season to come to Chimgan then get it right. Summer also attracts visitors. During summer Chimgan invites tourists to see wonderful mountain landscapes. You can fly while paragliding and you can ride horses during summers. And apart from these activities the view here is spectacular. Apple and fir trees forest, tumultuous rivers, beautiful lakes and waterfall add glory to Chimgan. Locals come to Chimgan for recreation. Outside traveler and visitors come to embrace the natural beauty of Chimgan after spending time in Tashkent. Coming from Tashkent you would feel a different world in Chimgan. Flowers, snow-capped mountains and peaks and villages all take you to a different ride of feelings. Chimgan is quiet in summers and sparks in winters. But whichever time or season Chimgan enchants you with its beauty all around. So it is evident that if you take Uzbekistan Travel Package or Tashkent Travel Package then Chimgan has to be in your itinerary list.